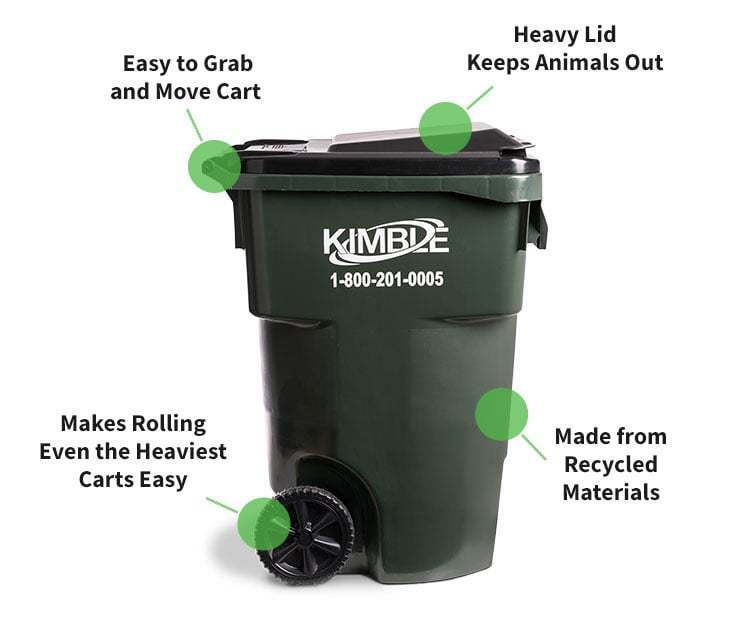 Kimble provides reliable and cost-efficient residential waste collection. Our professional team is committed to providing you with exceptional customer care. As a local company, we take pride in our ability to keep our neighborhoods clean. Curbside trash disposal is convenient with our easy-to-roll waste containers and attached lid, manufactured from recycled materials. We offer several different levels of service, so you can choose the option that best fits your household needs. Wheeled carts are designed to work with our automated collection trucks so proper placement is key. See our Cart Placement Guide for tips on the proper way to leave your cart out on pick up days.